Today, shoppers expect their favorite retailers to know who they are and recommend products they’ll love. The brand that offers a better deal is the one to win their heart for the day. But with cutthroat competition and minimal margins, one-size-fits-all promotions can be harmful to profitability. So how can retailers give shoppers what they want without sacrificing revenue? 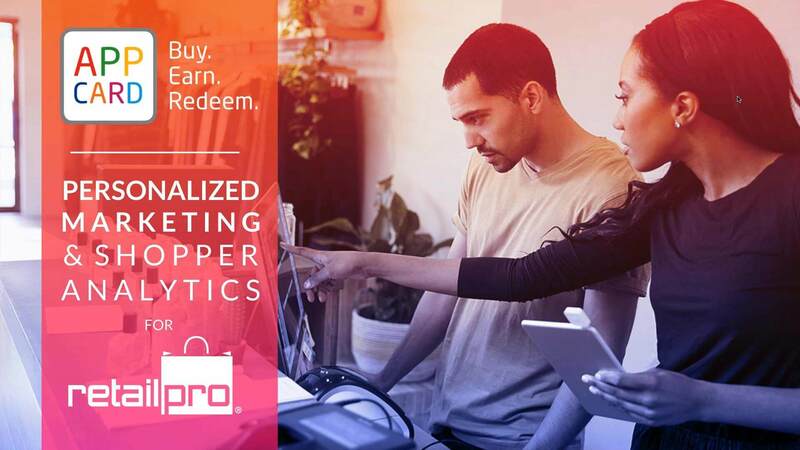 Watch the recorded webinar to see how you can create smarter, personalized promotions and grow your business with AI-driven loyalty and personalized marketing from AppCard for Retail Pro. Request a personalized demo of AppCard for your business!